Peel potatoes and cut into thin round slices. Soak them in salt water for 10-15 minutes. Meanwhile, mix chickpea flour, rice flour, red chili powder, turmeric powder and coriander powder into a medium bowl. Prepare a batter by adding water slowly such the batter is of medium consistency, enough to coat the potato slices evenly. Heat oil for deep frying. Drain the water from potato slices. 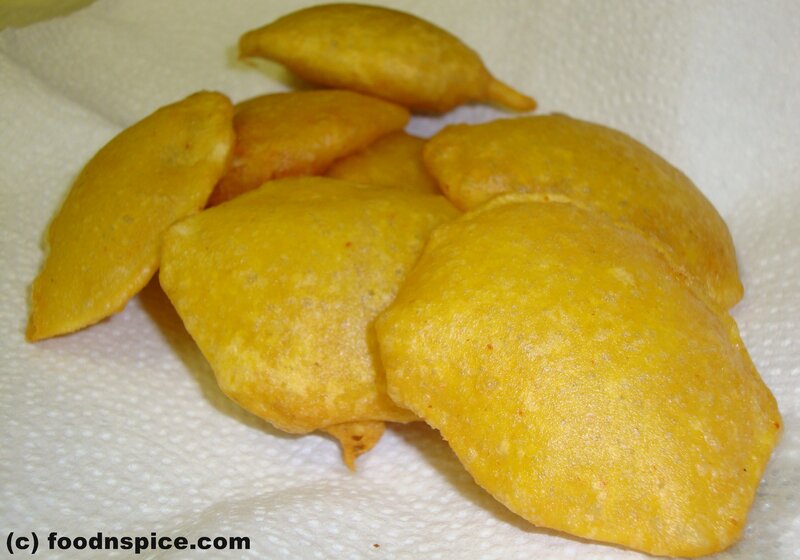 Dip potato slices into the batter and deep fry them till color turns to nice golden. Serve hot with tomato ketchup or mint chutney or tamrind chutney. * The batter should not be too thick in consistency. It will create thick coating which makes the fritters mushy and not crispy.